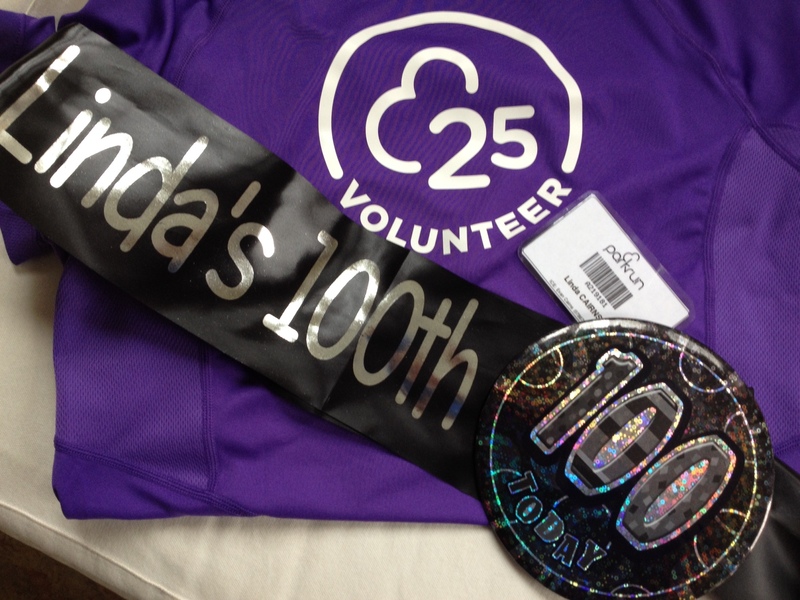 Last weekend, we celebrated my 100th run at Guildford parkrun. And somebody hummed this tune. The build up to my 100 started with She’s the girl!!!!. And in the briefing, the Event Director informed 320 runners that they were all shivering in Stoke Park on a bitterly cold February day because of me. Because four years ago I helped set up Guildford parkrun. He joked that it had taken me four whole years to reach my century milestone – and hinted at my lack of commitment, and then revealed that it had taken so long because I had volunteered nearly 100 times too. I’m pleased that I’ve earned a coveted black 100 T-shirt. Although plenty of runners have done it before me. In fact, at the time of writing, there are 13526 other runners in the parkrun “100 club“. I’m far more proud of my volunteering T-shirt and the part I have played in Guildford parkrun. Nothing beats the feeling that we’ve started something that will carry on – every week – free – and organised by volunteers. And I know the current Event Directors are proud of our event and our parkrun community. Even the Council are proud of our parkrun. It made the front cover of the Guildford Sport Development Strategy. This weekend I found out just how many people are proud of our 5k run in the park. For all the volunteers, the core team and especially the present Event Directors, this is for us. Hum a little tune. This entry was posted in parkrun, Sport by Linda Cairns. Bookmark the permalink.